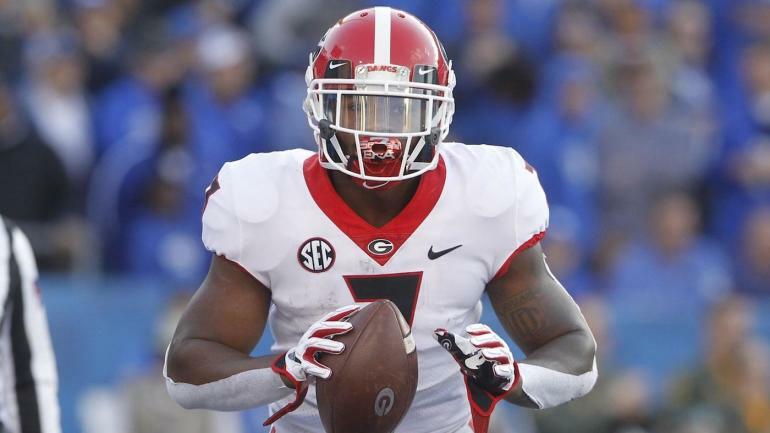 The Bulldogs wrapped up the SEC East title with a win over Kentucky last week, but despite a date with Alabama in early December already set, they can't afford a slip up in the race for the College Football Playoff. Quarterback Jarrett Stidham hit freshman Seth Williams with an 11-yard touchdown in the corner of the end zone with 1:41 left for the game-winning score. They rushed for just 19 yards against the Aggies, and have only topped the 150-yard mark on the ground as a team twice this season (vs. Alabama State and Ole Miss). Derrick Brown leads a stellar defensive line, Deshaun Davis is one of the best linebackers in the country and the secondary has capitalized with nine interceptions on the season. The Bulldogs will shut down Auburn's putrid rushing attack and force Stidham into some dicey situations against a tough pass defense. Swift, Elijah Holyfield and the rest of the rushing attack will wear down the Tigers and pull away in the fourth quarter to notch a win -- but not a cover.